In chapter 20 of Luke’s Gospel, as Jesus moves steadily towards His passion, we see the final controversy between Jesus and the religious authorities. In this last case, the disputes occur in the temple and involve the Sadducees, who exercised authority in the temple. In the encounters, we see Jesus Who wields true divine authority and Who is the presence that the temple represents. In this passage, the Sadducees have come to Jesus with a dishonest question. Uninterested in learning from Him, they wish to confound Him with an argument that cites Mosaic teaching, but reduces the teaching to absurdity. Jesus rightly challenges their false presumption that eternal life is a re-creation or extension of earthly life. They do not understand that resurrection means transformation and change as well as life. But the Lord goes further in His response, also citing Mosaic traditions: if the Lord Who addressed Moses was the God of Abraham, Isaac, and Jacob, and God is a God of the living, then God must have the power to deliver the great patriarchs from the bonds of death. This same dispute about the resurrection will arise between the temple authorities and Jesus’ followers in Acts. There, Peter and Paul will look back to the passion and resurrection of Jesus as see a definitive answer to this question of the resurrection. So we may look forward and suggest that Jesus’ teaching here is about to be confirmed dramatically and definitively. 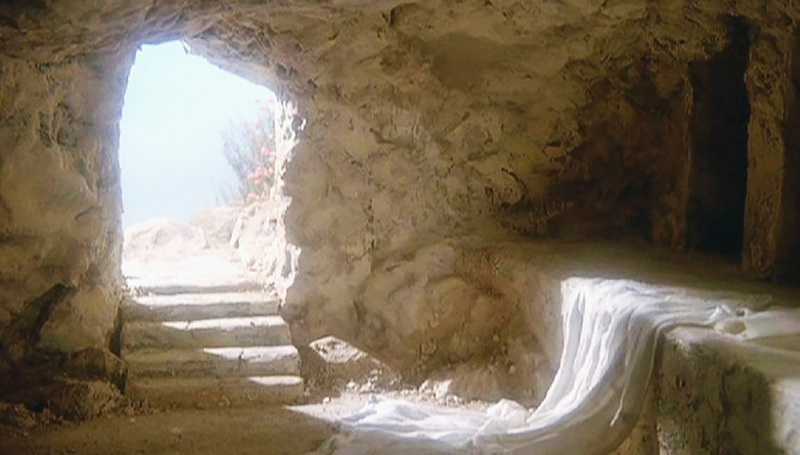 If Jesus’ own resurrection serves as the demonstration of His teaching, what is its origin? His assertion of the resurrection to the Sadducees divides His listeners in the Gospel because they appeal to different strains of Jewish tradition. The Pentateuch, the first five books of the Bible and the revered Torah of the Sadducees, is largely silent on the question of life after death. It may be that early Israel reacted negatively against the practices of pagan cultures such as the Egyptians who obsessed over death rituals and the passage to the next life. Israel learned rather to depend solely upon the faithfulness of the Lord. Where the Torah spoke of existence after death, it spoke of sheol, the abode of the dead, a place of shadowy existence apart from God. However, the later books of the Bible give evidence of Israel’s faith in God’s love and mercy beyond death, and her hope in a day when the Lord would vindicate the oppressed and bring divine justice to all creation. The passage we hear today from 2 Maccabees is a prime example of an emerging conviction of life after death. The terrible persecution of Israel described in Maccabees raised questions. How could it be right for men and women to suffer and die for the Lord only to face a shadow existence while their persecutors continued to enjoy life? Instead, Israel drew upon its faith in the love and justice of the Lord to hope for vindication and deliverance even after death. And so the martyrs in today’s passage proclaim their faith in the life-giving power of the Lord. This trust and hope in the Lord characterize Jesus’ ministry and passion and provide the context for understanding His teaching about the resurrection. He does not simply teach that God is a God of the living, He goes to the cross with only this conviction to sustain Him, that God is indeed the giver, the sustainer, and the restorer of life, and that His heavenly Father will not abandon Him to the power of death. Trust in the sustaining power of God is at issue in the passage from the last section of Second Thessalonians. The message of the letter can have no effect without prayer; without a trusting relationship with God. And Paul and his coworkers need their prayerful support. Especially as the missionaries find themselves in a hostile culture, the Thessalonians and the missioners must prayerfully live in the Lord who will bring fruit from their efforts. As Paul speaks today of the "endurance of Christ," we might consider the city in which Paul himself would endure death. In Rome, where empires have come and gone, where the “bones” of previous civilizations lie about, where Roman soldiers prodded Christians into the arena and Mussolini’s fascists preached their blasphemous creed; in that city, Christ endures. His word is still preached, His hope still proclaimed. Everything else comes and goes, but Christ endures. He is alive and He is Lord of the living!